Cry of the Dead is a commercial series slated for episodic release, beginning with the first installment: Dacian. Under newly re-branded Jaded Phoenix Studios, the team from the original demo has come together with a new group of artists and switched to VX ACE from VX to bring you this story that we're all very passionate about. Though mostly linear, Dacian offers a few quests and options that can impact your play later in the game. Cry of the Dead exemplifies the value of inner strength despite adversity and the help that family--chosen or born--can bring. It also highlights the struggles that come with being different and experiencing great loss. Three of the four members of this team met through a forum seven years ago. After working with each other on several small projects, Zander decided to make things official and create a company: Jaded Phoenix Studios. He, Zack, and Jade struggled for a while to decide what project should gain first focus as a team. Due to Jade's immense passion and focus, Cry of the Dead won. The entire team believes it is a story and message needed in today's world. In a world saturated with superstition, doubt and fear, one man must face his future before he can discern his past. Unable to harness full control of the power that flows through his being, Dacian emits accidental bursts of magic at inopportune moments. These moments typically arise when he has become angry or enraged. His adoptive parents have sought to hide his abilities; but their efforts have proven to be in vain. The type of magic Dacian wields is not typical for humans, as such he is an oddity, in more ways than one. This provides a breeding ground for hate, stemming from ignorance. The winds have changed, and danger lurks on the horizon. Something has begun corrupting the minds and bodies of living creatures; and it's spreading rapidly. In order to discover his true self, Dacian must learn to control himself and his temper, and tackle his inner demons. Mori, located in the world of Valkyr (Val-kay-ear), is a sleepy village tucked into a seaside cove, protected from the ocean by a large barrier reef. Its beaches are a tourist hot spot, and tourism is their main economy. 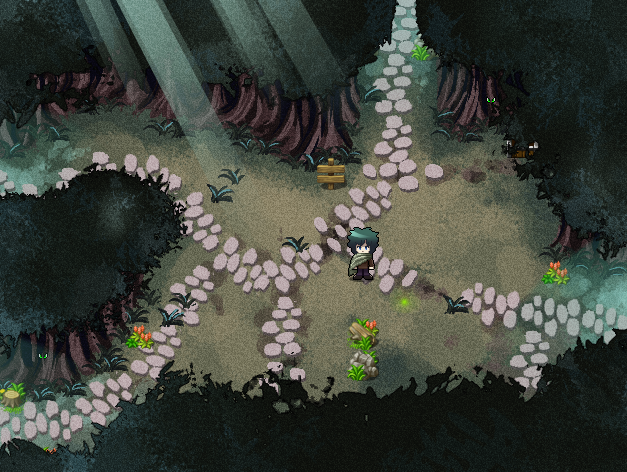 The natives that inhabit Mori follow the ways of their ancestors. Fishers, hunters, gatherers, warriors: these are the main professions of Morians. The story takes place during the week leading up to the Ceremony of Mana, a very important coming of age ritual for Mori's youth. 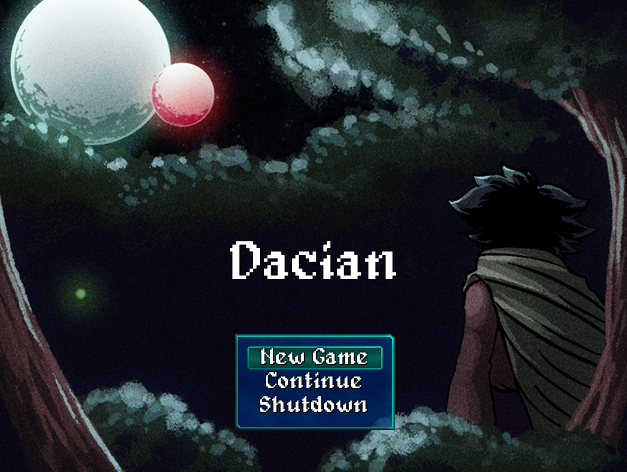 Along with helping Dacian learn to control and understand his mysterious abilities by playing through his troubling dreams, players will get to build up the town's defenses and stores while experiencing its daily life. "Many ages ago, Valkyir was carved from the cosmos by the Old Gods. Their breath became the air, their bodies became the earth, and their tears became the water. From their gifts, came life. Plants, animals and all sorts of wondrous creatures sprung forth unto the land. Before the Gods began their eternal slumber, they bestowed gifts unto the most precious of their creations. Humankind were given courage, determination and intellect. Elfkind were given intimate knowledge of divine magics and taught to shepherd the souls of the departed. The Sheikh were bestowed with powerful mastery over the elements. Once their energy had been fully spent on creation, the Gods slumbered, leaving their children in the hands of Njoror, God of the sea. It is said, that the people of Mori were born from Njoror. Initially we were as fish, living entirely below the waves. Slowly we began venturing into the land where it was discovered that we could breathe the air. Mother Earth welcomed the new comers and bestowed unto us knowledge of the elements and mana. Although the ocean is not prominently our home, we've retained the ability to breathe underwater. Regular ceremonies are held to thank Njoror for his gifts and to praise Earth Mother for her wisdom." "I just want to be myself." Adopted by the Blackfoot family. He was found wandering on the outskirts of the Ebon Glade, a cursed forest, when he was just a baby. Uncertain of his exact age or birthdate, the family celebrates his "adopted day" rather than a birthday. Many villagers believed him to be a bad omen, especially with the powers he possesses; but there are many that feel he's destined for greatness. Typically keeps to himself. Spent the vast majority of his childhood with his adoptive brother Keith. The two quickly became synonymous with mischief, mainly due to Keith's clumsiness. Unable to breathe underwater like the other natives, he and Keith concocted several ideas and inventions in order to help Dacian breath underwater. Most of their attempts failed miserably; one attempt resulted in Dacian's near drowning and has instilled a deep fear of water that lingers to this day. The son of the village elder, Mikasi (Mee-kah-see), and his group of friends have always been Dacian's main antagonists. In order to escape from them, when he's not working at the inn, Dacian enjoys visiting a nearby oasis that has always held a unique draw on him. "I will protect her with my life." Headstrong and clumsy. Has always been very protective of his family and friends, and is quick to intervene if he sees anyone harassing Dacian. Disapproves of people that make quick judgments of people. Trained as a Tribalist from the time he was 11 and became one of the youngest teachers, mentoring other young Tribalists in the arts of the beast and blade. One of the main creators of the Totemic Beastial Aspect style that is now incorporated into Tribalist training. Has a major weakness for sweets. If he's protective of family and Dacian, he's definitely over protective of his baby sister, Naomi. Is the only one of the three siblings to have ventured far from Mori, typically on training missions or accompanying travelers safely across open territory. Deeply concerned by the amount of animals that have become increasingly aggressive over the years. "I don't understand, why all the fuss?" Naive, pleasant and outgoing. Shed her youthful shyness in her mid teens, and is attempting to embrace the woman she's becoming. A talented Mana Binder and adept in combat, although there's not been much opportunity for her to prove herself with Keith getting in the way. Spent most of her days lazing around the underwater gardens with friends, or toiling away the evenings on the beach enjoying the sunset and the sound of the waves. Longs for adventure and to prove herself to be a strong and capable fighter in the eyes of her older brother. Excitedly awaits the Ceremony of Mana which will mark her graduation from an adolescent to a woman, and regarded as an adult by their tribe. She's trained for this day for the last 5 years, working hard to hone her abilities. FTB Combat System - build up more turns in battle by increasing agility. Combo System - put status ailments to use by setting off combo's, and combo finishers, after inflicting an enemy with an ailment. Heads Up! - explore everywhere, a popup ? indicates a hidden item very close, and a popup ! indicates a hidden event. Shop Leveling - Mori's economy has been stunted, help the shopkeepers flourish again by selling them certain items you find while dispatching the aggressive wildlife and monsters that have appeared. Mana Gems: purchase gems to socket into equipment and weapons to directly increase any stat you desire. Beware, the Gems are unstable and might explode, destroying other Gems socketed in that piece of equipment. Increasing the Mana Weaver's Shop Level will allow them to create more stable, and stronger, Gems. Mana Crystals: purchase or loot Mana Crystals that can be equipped to character skills to power them up! 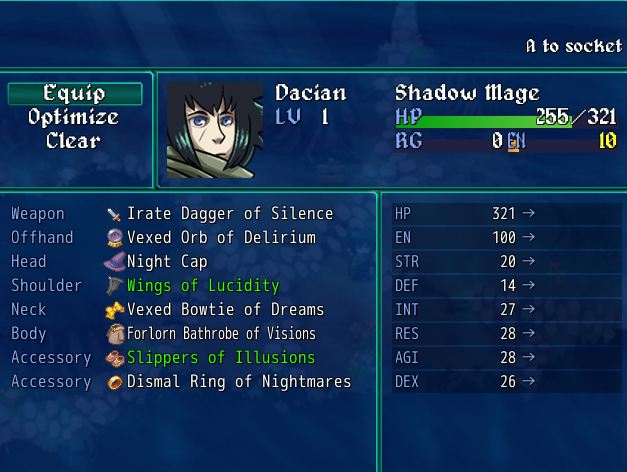 Add statuses, extra damage, increase the chance to inflict a status, etc! 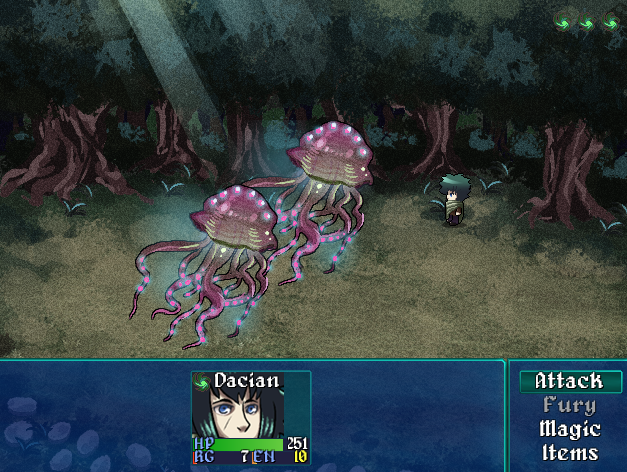 Rage Generation: generating during combat, Rage is an extra resource that, when enough has been gained, will allow the player to utilize massive attacks against the enemy. Find and loot different Rage Generation Styles hidden throughout the world. It's been a busy week for the team! Jade has been hard at work refining and fleshing out the features highlighted in our Mechanics Demo--per tester feedback. If you’d like to leave us feedback, we are quite pleased to receive it! She has also been working on the full, storied game itself as we gear up for an estimated November 1 release of a proper demo with story and cutscenes. I--Zander--have been formatting and editing scripts for various dialog encounters and cutscenes as well as some rather boring business administration stuff. Additionally, I’ve been working on a proper trailer with some feature highlights and game screen capture that I hope will be complete by this time next week. I have access to my desktop a maximum of two days a week, so editing has a limited time window. Zack has produced a new song for use in the credits that can be heard in the OST playlist below as well as in the next demo version and is working on a few more that should be ready for next week’s update. Shelbie has continued the work featured in our campaign video and is gearing up for the cinematic that will launch the full game and our next demo! 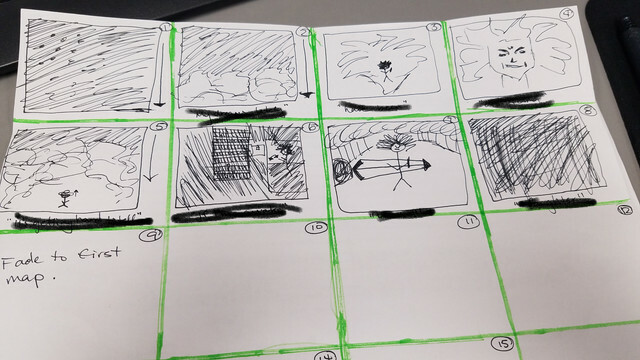 Featured below is the storyboard that I’ve drawn up for their reference (dialog blurred out to avoid spoilers). For those of you who might want a forum-like atmosphere to discuss the game as it develops and provide feedback, please check out our IndieDB page with dedicated forum. 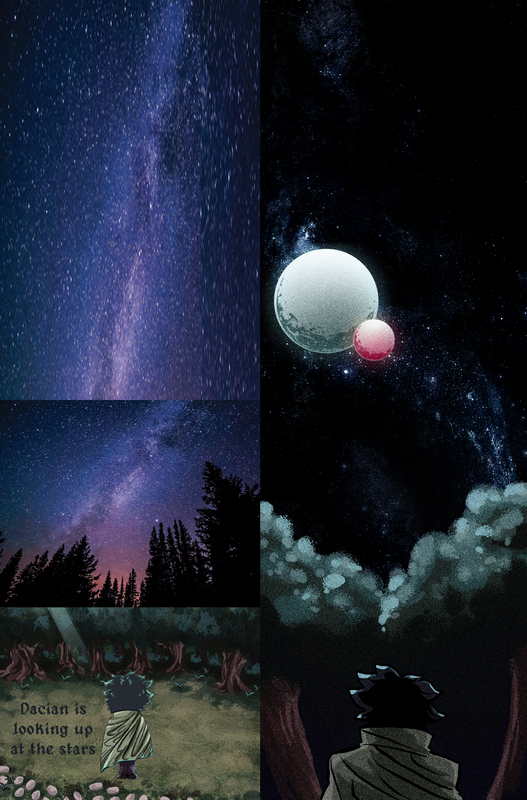 After creating the storyboard thumbs as seen above, I made a bit more comprehensive images as seen on the left below. Shelbie then rendered the final art as seen on the right below. Hope you enjoy! Aah~ Dacian's appearance reminds me of old school anime.